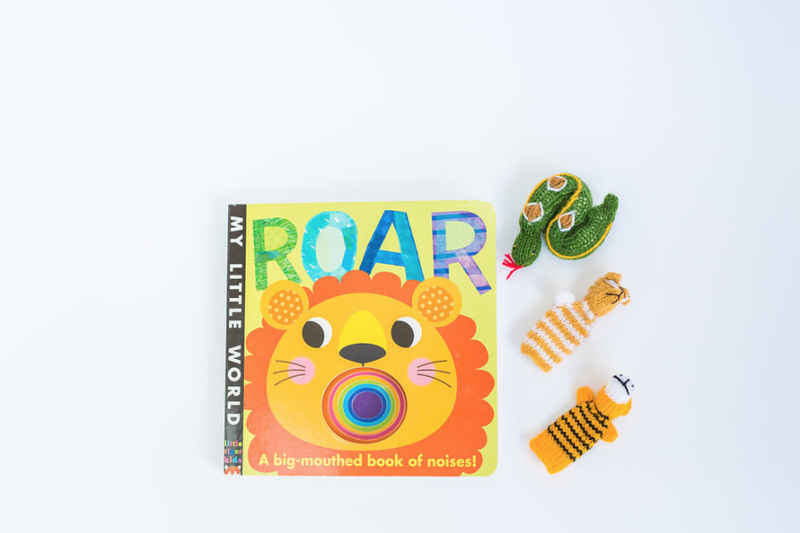 “Roar” an amazing book of sounds which has been handpicked by the lovely Jenny over at Smallprint to complement the learning opportunities in this box. A Beetroot Clapper from Plan Toys – a fun and colourful instrument to experiment with. 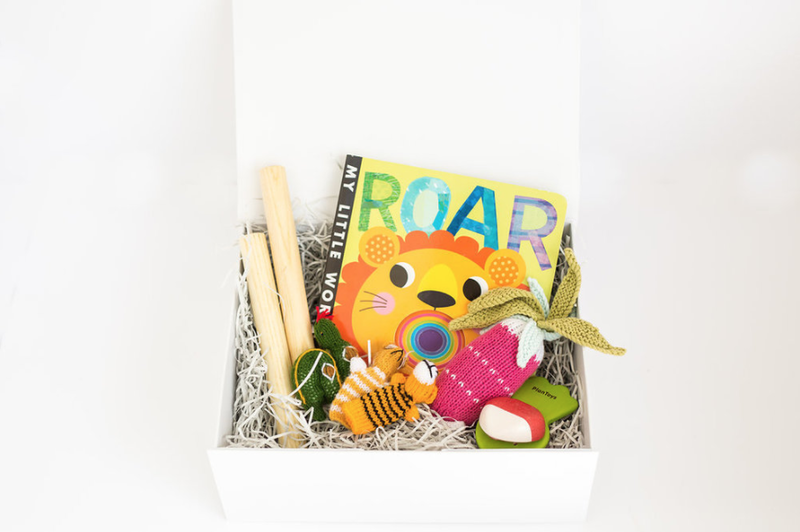 A trio of hand-knitted finger puppets – a tiger, a cat and a snake are the perfect animals to build on your Little Chatter’s vocabulary. 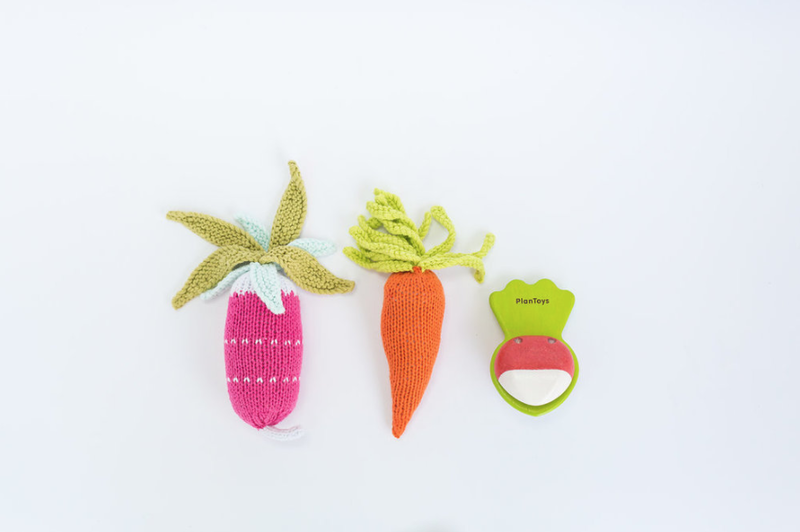 A gorgeous handmade Vegetable Rattle from Pebble – to shake along to your Little Chatter’s favourite songs. A pair of maple claves.